A childhood accident hasn't kept Ian 'Enable' Wyatt from eSports success. Ian Wyatt doesn't remember the moment he lost half of his thumb. He was 1 year old, sitting in his family's driveway against the side of an exercise bike while his 7-year-old brother played with the pedals, pumping them around and around to make the wheels fly. Wyatt, unaware of the laws of physics, stuck his tiny hand into the bike's chain. It cleanly sliced off half of his right thumb. "To be honest, I got quite lucky," Wyatt says. He isn't talking about the accident itself, of course. Today, Wyatt is a 23-year-old professional Call of Duty player who got his start in the Halo scene when he was a teenager. He feels lucky because the standard Xbox controllers used to play Halo conformed to his injury nicely -- the right analog stick was closer to the palm than the left, just like he needed. "It was almost like a perfect fit for my right hand, my right thumb," he says. "If I would have lost my left thumb, I wouldn't have been able to hold a controller, because the analog stick would have been too far away." 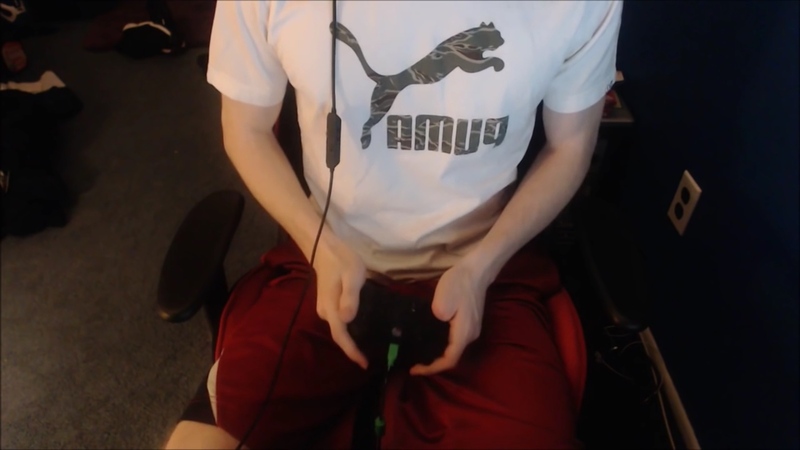 Now that he's playing professional Call of Duty, which is tied to the PlayStation 4, Wyatt has to use controllers with both analog sticks close to the palm. "It's not too crazy," he says. "I do have to angle the controller a little bit to the right just to make the little adjustment that I don't have, but for the most part, it's comfortable." Wyatt plays under the name "Enable" on North American team FaZe Clan, which is currently competing in the Call of Duty World League Championship, the franchise's largest tournament of the year. There's a prize pool of $1.5 million, with $600,000 for the victorious four-man squad. So far, FaZe is doing well. They've made it to the top 12 out of 32 teams, and as of Saturday morning, they're still in the running for the grand prize. The tournament is live now and runs through Sunday, August 13th. And Wyatt is showing up. 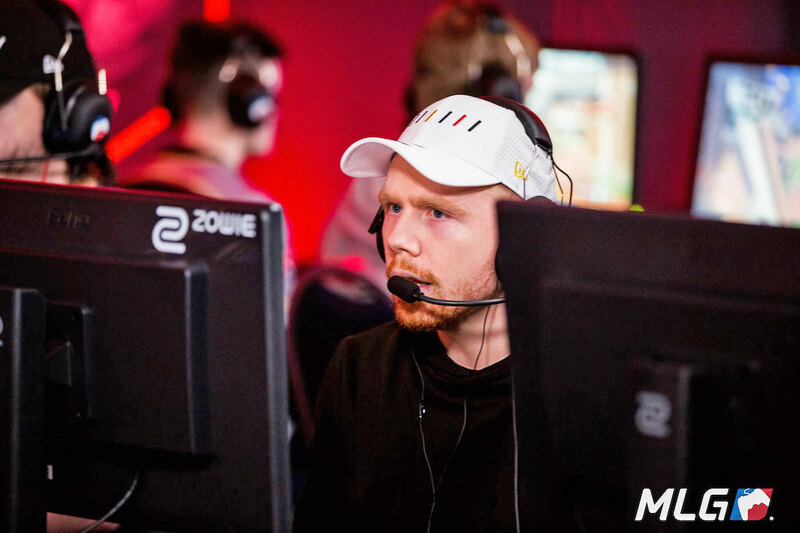 "In game one on Retaliation Hardpoint, Ian 'Enable' Wyatt led his squad to a 250–101 victory, as he went 20–10 with over two minutes of hill time," the official Call of Duty blog reads. That's 20 kills and just 10 deaths, all with a clear focus on the match's main objective: control the hardpoints. This is how Wyatt wants to make a name for himself in the eSports world -- by showcasing his skills and proving, time and again, that he's one of the best FPS players around. The fact that he's missing half a thumb is more of an afterthought in his mind. "I don't want it to define me," he says. "Because, yeah, it's cool to talk about, but there's so much more to me, not only as a player, but just as a person. I'd rather -- not like hide it, but just kind of keep it in the background." Part of this desire to downplay the injury comes from Wyatt's perspective on eSports in general: He knows he's not the only professional player with baggage. "There are certain obstacles that I've had to go through, but the way I look at it, every player here, any athlete, whatever the case may be, they all have their own obstacles that they went through in their life," he says. "Whether it be something physical, like in my case losing a thumb, or not having supportive parents or growing up in poverty." Wyatt has a solid support system in his mother. When he was a kid, she encouraged him to pursue anything that made him happy -- whether it was trying traditional sports or diving into competitive video games. "Once I got my first paycheck especially -- I was 15 years old, and I got second at a national event in Halo, and I believe the prize was like $15,000 each or something like that," Wyatt recalls. "For a 15-year-old to bring that home, that's when she really saw the potential to make a decent living out of it. That's when she kind of told me and pushed me to play more video games and really see how far I can make it." Professional gaming has evolved rapidly since Wyatt was 15. Now he's playing Call of Duty full-time, earning a salary and competing at the highest international level. By the end of the Championship this weekend, the Call of Duty World League will have paid out $4 million to players across the 2017 season. The eSports industry in North America is becoming more stable by the day. Two of the largest eSports titles, League of Legends and Overwatch, recently introduced new regulations aimed at making their tournaments sustainable, profitable and fair for players, many of whom get their start in high school, just like Wyatt did. Beginning in 2018, all players in the League of Legends Championship Series will earn a minimum of $75,000 a year, plus bonuses, benefits and more access to post-career training. On the Overwatch League side, players will earn at least $50,000 a year and see similar perks. Wyatt says Call of Duty creator Activision and World League show runner Major League Gaming can learn a lot from these moves. "I think the best bet for them is to kind of follow the footsteps of the other eSports that are ahead of Call of Duty," he says. "Because they've shown the right ways to do it and the wrong ways to do it." Call of Duty occupies a unique space in eSports: It's a console game, while other major titles are PC-based. Plus, Call of Duty is a massive, established brand with an inherent audience. These are bonuses in Wyatt's eyes, and he says Activision and MLG are on the right track. And he would know -- he's one of the oldest professional Call of Duty players, and he's been competing in the FPS scene for nearly a decade. "I think they've been going in the right direction for the past couple of years, and it's really started to grow," Wyatt says. "There's an organic viewership. I'm excited, but it's a little too early to tell."